Water soluble – Dissolves in water and can be easily fermented in the gut to produce beneficial by products, tends to slow the movement of food through the intestines. Insoluble – Cannot be dissolved in water and as such is much more resilient to being broken down inside the intestines so can therefore provide a very good transportation craft for other debris through the intestines effectively speeding up the process of digestion. This gives insoluble fibre a reputation for aiding constipation. As some fibres cannot be absorbed by the body at all (such as cellulose, ever wondered why sweetcorn comes out whole?) 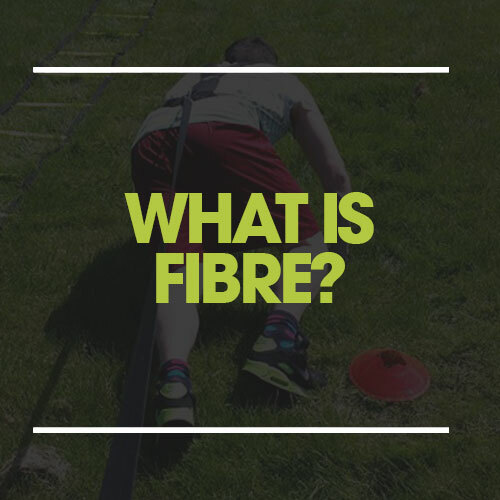 it is hard to determine how much energy that is contained in the fibre itself can be passed on to humans. Dieticians tend to agree that around 2kcals/g (see section what is a calorie) is a fair assumption. Fibre is found in a lot of different things from cereal, to fruit and vegetables and even oligosaccharides (see section what is a carbohydrate) and can have advantageous side effects on the human body including reducing LDL cholesterol, reducing blood pressure and easing symptoms of gastro intestinal illnesses such as irritable bowel syndrome and possibly even crohns disease. TLG Top Tip - If you are going to increase the amount of fibre in your diet then drink plenty of water with it to avoid bloating, constipation and discomfort.